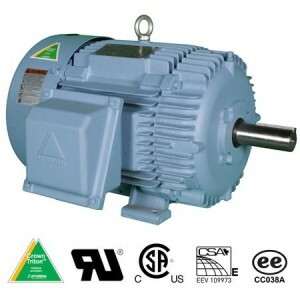 Founded in 1998, by Rick Simmonds and Fred Rosen, Worldwide Electric is the largest independent manufacturer/importer of industrial electric motors in the United States. In 2010, Hyundai Heavy Industries negotiated an exclusive agreement to appoint Worldwide Electric as the exclusive sales and marketing group for the United States, Canada, and the Caribbean. Worldwide Electric appointed Steel Toe Group as an official distributor. Our Premium Efficient Hyundai motor is Precision balanced, has Epoxy-coated rotors, and is equipped with Over-sized FAG bearings. One of the quietest running motors in the industry; it comes with an industry leading 5-year warranty: no-fault, nameplate-only for 40HP and under (excluding explosion proof). Designed with Class N insulation, it is capable of running in applications at 65 degrees C and is CSA rated for Class 1, Division 2, Groups A, B, C and D.